To be outstanding in life, you must be willing to stand out. When all you do is try to fit in, you negate the difference your uniqueness makes. Tall Poppy Courage is not about being better than anyone else, just being the best possible version of yourself. Growing up on a farm in rural Australia meant growing up with something called the Tall Poppy Syndrome. It may sound like some ailment associated with cocaine addiction or a nasty chronic medical condition, but it's actually a cultural condition. While I'm not a cultural historian, I think it stems all the way back to our convict ancestors who were determined to create a more egalitarian society than the class system they left behind in mother England. And over the generations, it manifested into the self-deprecating Aussie culture that hailed the 'down to earth' and scorned anyone considered 'up themselves.' Standing out from the crowd meant risking being cut down like a tall poppy. Needless to say, it wasn't an environment that always inspired the entrepreneurial spirit. Fortunately, the influence of the Tall Poppy Syndrome has waned in recent decades as we've seen so many Aussie's stand out on the world stage for their talent and accomplishment. Which is a good thing! 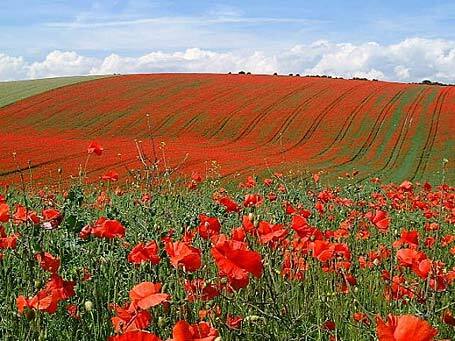 Even former Australian Prime Minister John Howard said, "The one thing we need to get rid of in this country is the Tall Poppy Syndrome." And yet while the Tall Poppy Syndrome may be uniquely Australian, having travelled to 60 plus countries around the world, I believe that the fear that drives it is universal -- and stronger than ever. That is, we all live with what I've dubbed a "Small Poppy Committee" in our heads, whose sole mission in life is to keep us thinking small, playing safe and avoiding any possibility of being 'cut down' by those around us. It's not trying to hurt us, rather to protect us from the sting of rejection, the disappointment of failure, or the embarrassment of looking foolish when our efforts to achieve a goal fall short. It is simply our ego's way of alerting us to potential threats to its safety, and the risks inherent in daring to do something in which we have no guarantee of success. But the reality is that nothing worth doing comes with a guarantee of success. Every worthwhile endeavor will require a degree of risk. It will also require a degree (or five) of Tall Poppy Courage. That is, the courage to dare to stand out from the crowd, to step onto new ground, and to do more and be more than we have up to now. To be outstanding in life, you must be willing to stand out. When all you do is try to fit in, you negate the difference your difference makes. Being a Tall Poppy is not about being "stuck up" or walking around with a sense of superiority. Far from it. It's about daring to think bigger about what's possible for you, to embrace your individuality, to express your uniqueness and to follow your dreams...however magnificently humble or audaciously huge they may be. It's not about being better than anybody else; rather, it's about being a better version of yourself. The irony is that expressing the full quota of your brilliance in the world is only possible when you give up trying to show people how brilliant (smart or accomplished) you are. It's just about doing what inspires you, and stepping courageously through whatever Small Poppy fears, real or imagined, are standing in your way. Have you got Tall Poppy Courage? Of course you do. More than you know. It's just waiting on you to decide that that the risk of remaining tight inside your tall poppy bud is greater than the risk it will take to blossom. Margie Warrell; thought leader in human potential, master life coach, international speaker, media contributor and best-selling author of Find Your Courage. Take the Courage Quiz, watch Margie's TV interviews (TODAY show, Fox, CNBC) and sign up for her free LIVE BOLDLY! newsletter. Then order your personally autographed Amazon best-seller book Find Your Courage.